Our latest podcast chat, we talked to Cliff Van Eaton from Te Puke in New Zealand. Cliff Van Eaton is an consultant and Author, he was born in America but has lived in New Zealand for over half of his life. He is the author of the book "Manuka The Biography Of An Extraordinary Honey" and also the co-author of the Orginal "Elimination of American Foulbood Disease without the use of Drugs" and the "Control of Varroa" book with Dr Mark Goodwin. 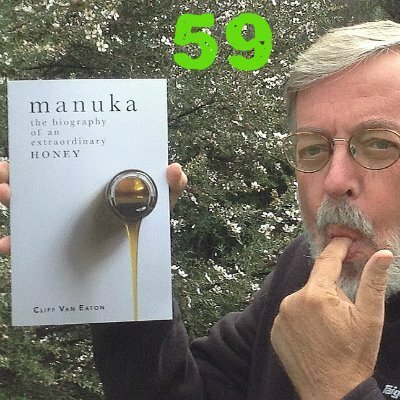 A story about how one beekeeper poured Manuka into the sea? Manuka honey is thixotropic, only one of two in the world. The Manuka Tree started life in Australia? kiwifriut don’t product nectar, so a novel way was developed to get bees to pollinate them. What did you think of this chat? Have you read any of Cliff's books yet?